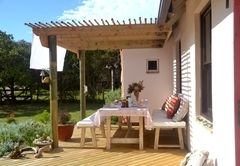 Baviaanshoek is a property providing self catering in Plettenberg Bay for up to 8 guests visiting the Garden Route region. 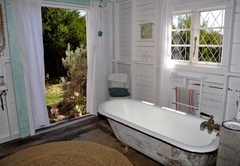 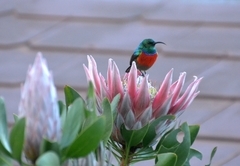 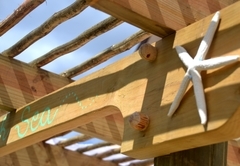 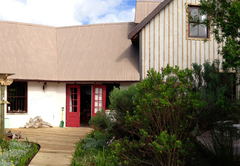 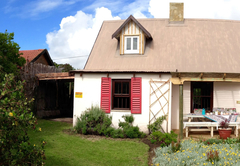 The self catering Holiday House "Baviaanshoek" is on Plettenberg Bay's Keurboomstrand. 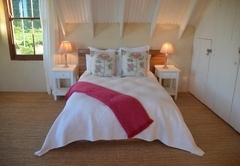 Just a 2-minute walk over the dunes and you will overlook the Indian Ocean and miles of untouched and super clean, sandy beach. 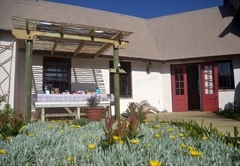 While you it is a great opportunity to enjoy all activities or leisure time with the family. 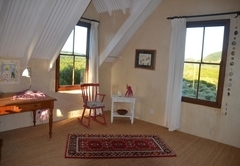 Sit on top of the dunes and watch the dolphins and whales play. 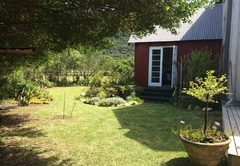 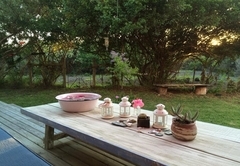 The house is settled in the “Milkweed Glen” Neighbourghood, surrounded by beautiful fynbos vegetation and untouched nature. 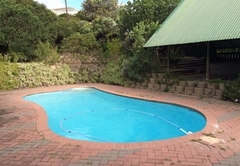 From here you are only a short distance to Plettenberg Bays Center, restaurants and shopping opportunities as well as The Crags and Natures Valley. 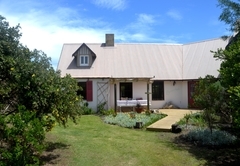 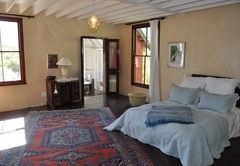 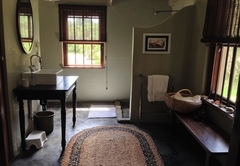 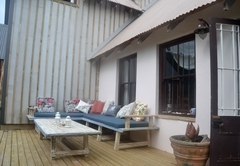 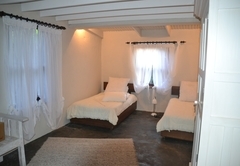 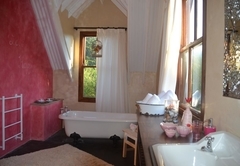 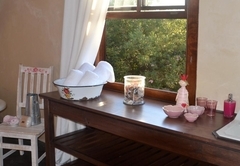 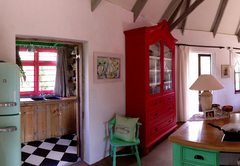 Baviaanshoek holiday house sleeps up to 8 guests in 4 spacious bedrooms and 3 bathrooms. 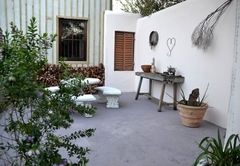 The house is renovated in a Shabby-Chic-Style to bring the feeling of "at home" to you. 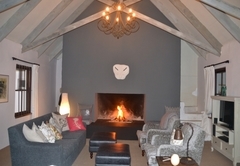 Relax on comfortable sofas in front of the huge fireplace, in the garden watching birds or in the library with a book or your tablet. 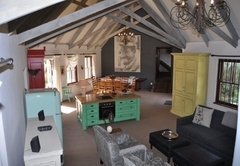 The kitchen-island is the heart of the living / leisure-room and seems to be the social gathering spot amongst family and friends. 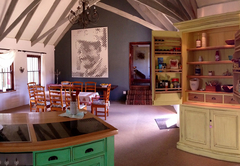 Here will cooking be fun. 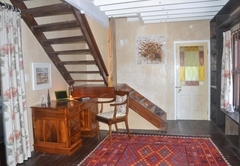 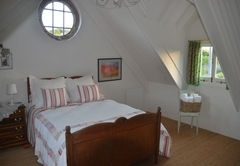 The house is nicely renovated in Shabby-Chic-Style to bring the feeling of at home to you. 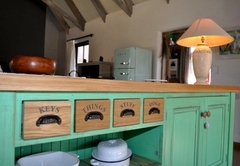 The kitchen-island is at heart of the living/leisure-room for time with family and friends. 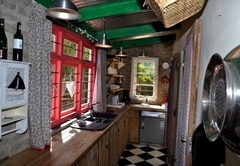 Here cooking will be fun! 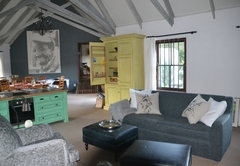 Relax on comfortable sofas. 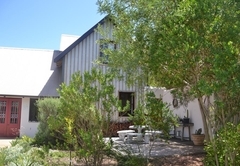 Response timeBaviaanshoek typically responds to requests in 5-10 minutes.